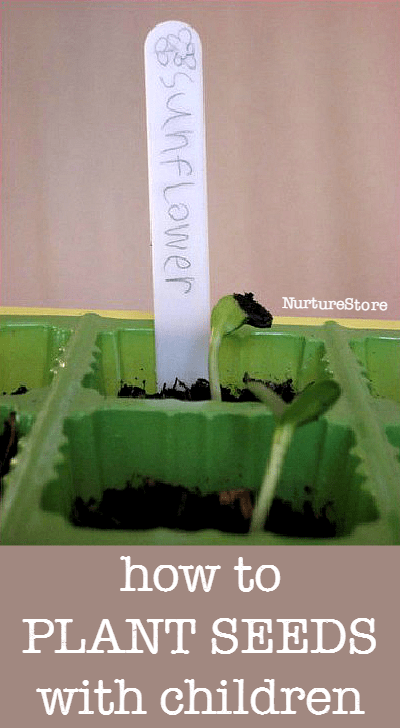 There’s not really any great mystery about how to plant seeds with kids, but these tips and tricks will give you lots of extra play and learning ideas to make the most of your spring planting. For today’s Creative Chistmas activity I’m sharing an idea to make a Christmas Tree for the feathered friends in your garden. Christmas is a time of year when we can really encourage children to think of others and give gifts to those they love. 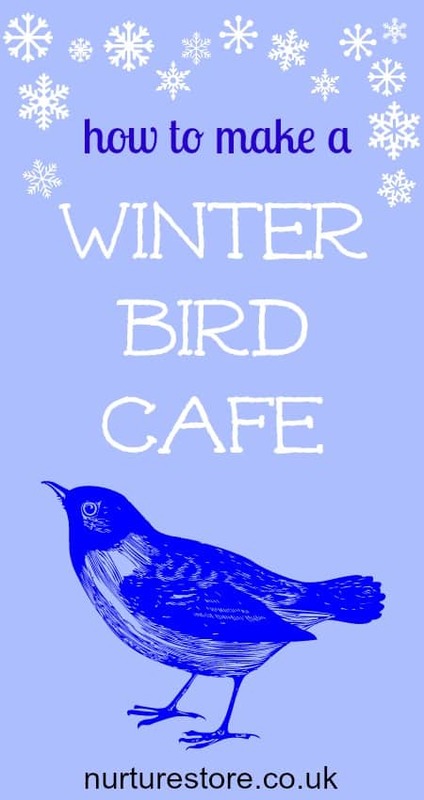 How about spending some time with your kids, giving thanks for the natural world and helping them put together a Christmas feast for the birds? 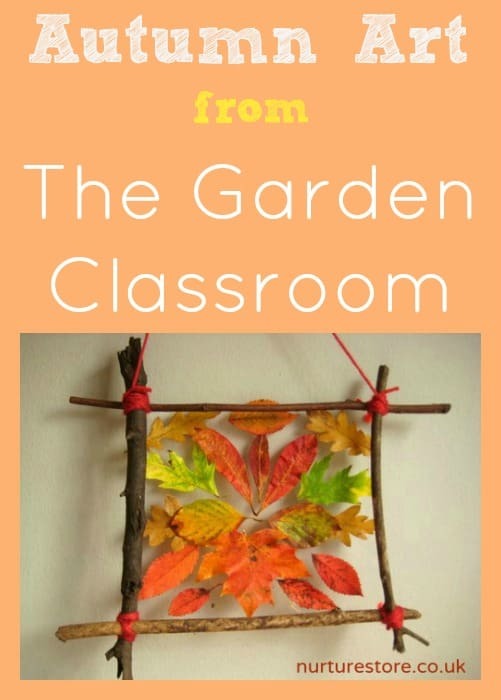 We’ve been combining two activities from my book The Garden Classroom this week to create some beautiful autumn art. Taking the idea of leaf art and adding it to my Sticky Picture frames, here’s what we made. Just because the days are getting cooler and shorter doesn’t mean children have to stop enjoying lots of outdoor play. Having fun and creative garden projects on offer is a great way to keep kids active outdoors and enjoying the fresh air. The school gardening club I run is back in action after the school holiday, with a group of young gardeners ready for action. 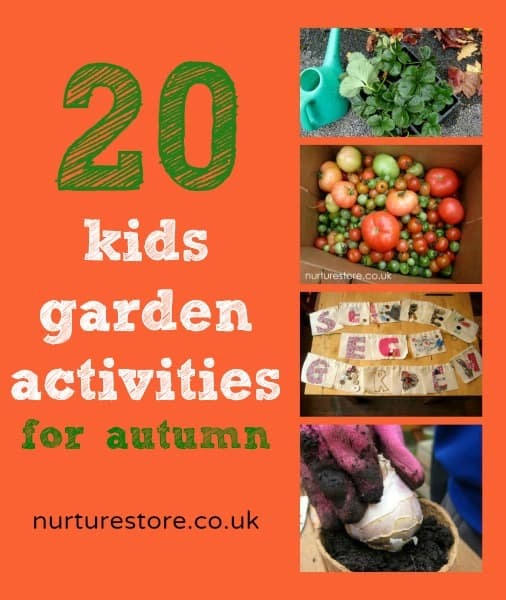 Here are 20 ideas you can use over the autumn and winter terms – at home as well as in a school garden – to enjoy the outdoors all year round, with some special activities taken from my book The Garden Classroom. 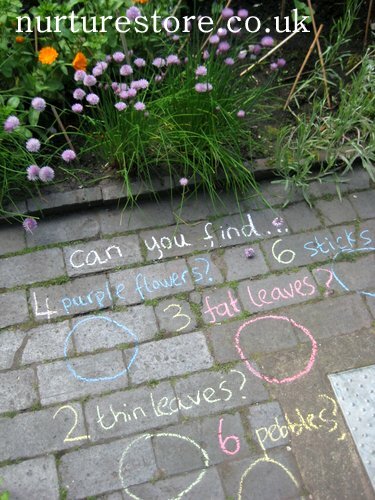 Here’s a fun idea to take math outdoors into the garden classroom, using chalk to set up a simple treasure hunt. Gardening with kids gives them so many opportunities to learn things. There are obvious subject areas such as science and nature studies of course, but there are also life lessons to be learnt. What you grow can teach a lot about your attitude to life – to creativity and challenge and risk taking! 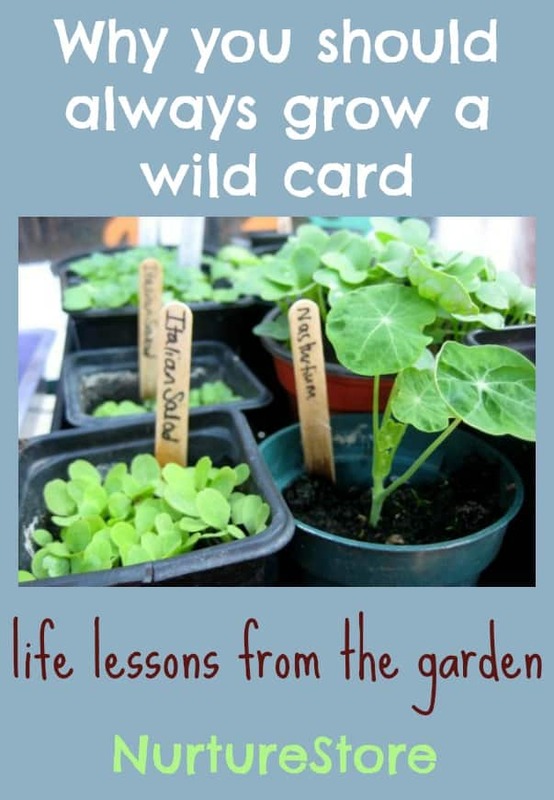 Here’s why in amongst the carrots and onions we always grow a wild card. 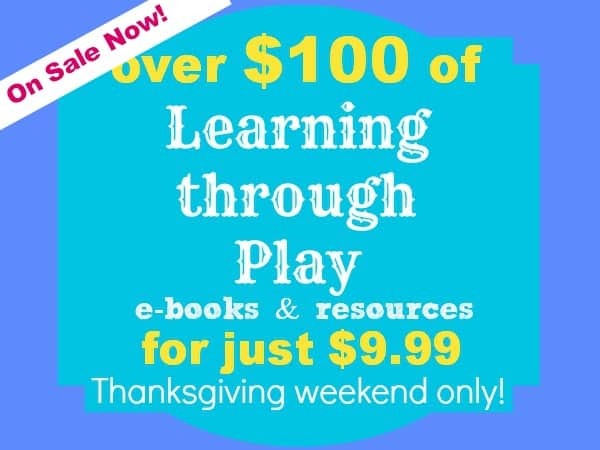 Thanksgiving weekend Learning Through Play $100+ e-book sale :: only $9.99! Edited: This Thanksgiving weekend offer is now closed. Thanks so much for your interest. The individual books are still for sale – please click through on the links below to make your purchases directly from the authors’ blogs. 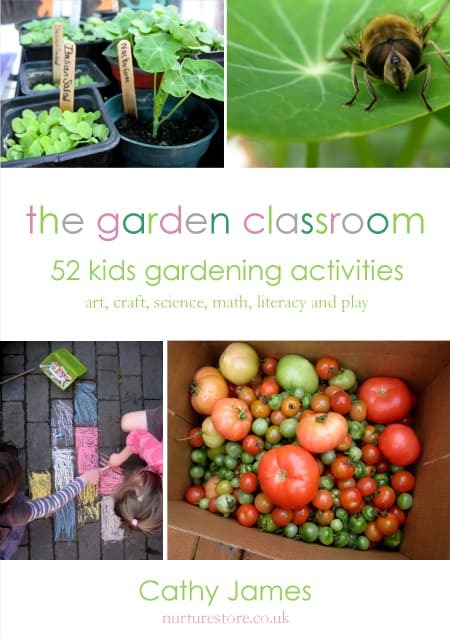 My book The Garden Classroom is available here. Brought to you by Melitsa of Raising Playful Tots and me, along with some of our favourite bloggers and authors, the Learning Through Play special offer is now open – but for this Thanksgiving weekend only. We have put together a package worth over $100 – but available to you at a very special price – of e-books and resources, all based around Learning Through Play. This Thanksgiving weekend special offer includes books on sensory play, outdoor play, art and crafts, positive parenting, learning to read and write and lots more. You’ll recognise the authors as the writers of some of your favourite blogs – check out the full details below to see who’s joining in. This special bundle of books is available for you to buy only over this Thanksgiving weekend. So buy it now or you’ll miss the deal! I’ve read the books (and written one of them!) and I’m so happy to recommend this offer to you. These ladies really know their stuff and the books and resources are packed full of fantastic creative and practical ideas that you can use with your children. There are thirteen different authors joining in, bringing you over $100 worth of resources. And, guess what – you can buy the lot for just $9.99!